Its Ria here. 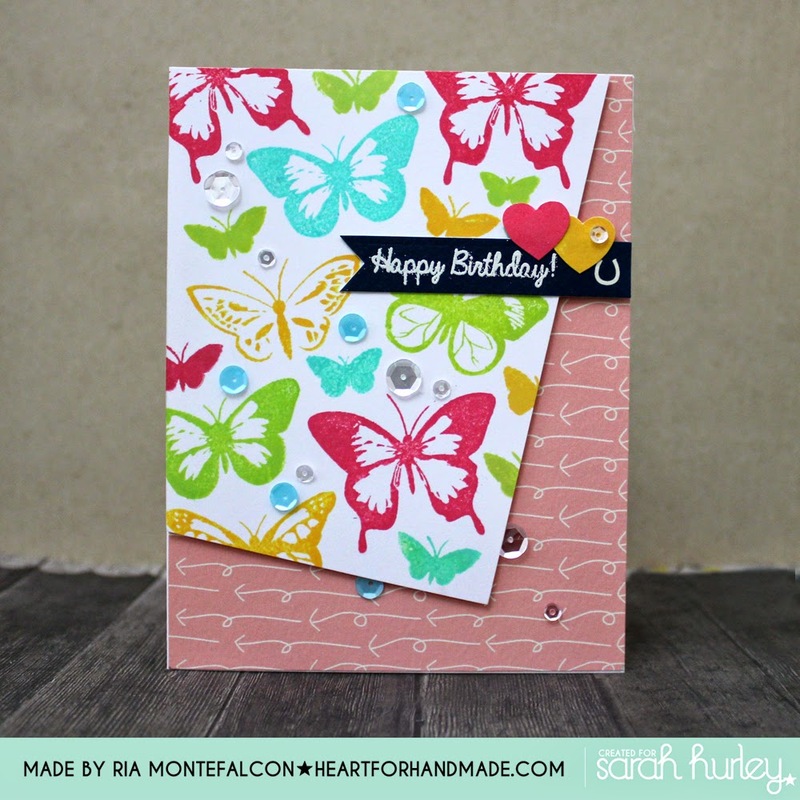 For today, I continue my love for Sarah's Butterflies Stamp Set. I just wanted to play with the stamps and colors so what I did, I randomly stamp the butterflies in different colored inks. Quick and easy to do. You can even do a lot of these to make a set of cards. For the sentiment I heat embossed the Happy Birthday greetings one of the banner from Sarah's previous kit. I also stamped the heart in two colors and added them as accent above the sentiment. 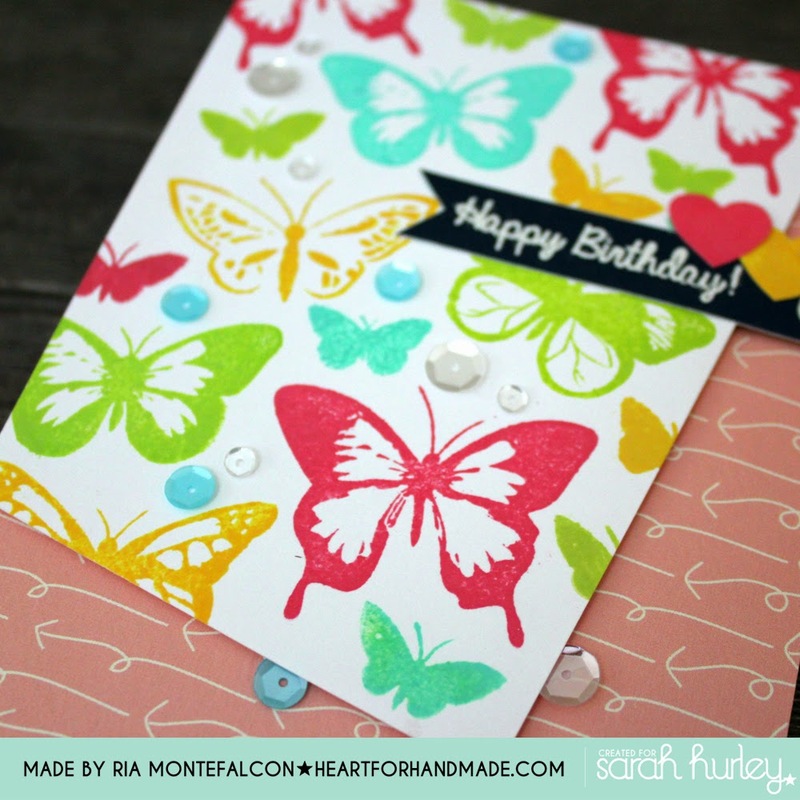 Here's a closer look at the stamped butterflies..
and the final card..I added some sequins for some texture. That's it for now and have a nice weekend! Oh Ria, always colourful and always full of fun.